Putin and Lavrov entered the Syrian quagmire without planning their getaway. And now, there is none. Analysis. Russian President Vladimir Putin's Syrian gambit was a fatal mistake that may soon destroy Russia and Putin himself. Putin’s strategy in Syria makes the Titanic look watertight. For a Russian analyst living in Russia to openly declare Putin’s Syria policy a “dead-end” without fearing for his life shows how truly dire the Syrian situation is for Putin. I, however,wouldn’t say Putin has hit a “dead-end.” I would say that it is much worse, in fact, a potentially fatal, disaster for Putin and Russia that is worsening by the day. Putin has been geo-strategically reduced to being a pawn of the two greatest sponsors of state terrorism and genocidal war criminals on the planet earth today, Assad and Iran. 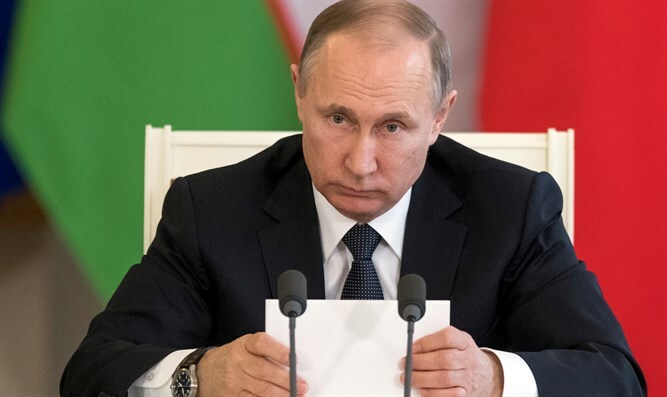 This result was predictable - and was predicted right here on Arutz Sheva, where President Putin was warned in my articles that his policies in Syria were going to be fatal. In this article I essentially warned Putin he was winning Syria for Iran, the world’s greatest terrorist state, not for mother Russia. Now, with every day that passes in June 2017, Russia’s position in Syria becomes increasingly dire, with no escape. For Putin, what was to be geo-strategic way to make up for the invasion of Ukraine has become an albatross he will have to pay dearly to remove from his neck. 4. Oil is about $40 per barrel, and going down. 6. Russia Population 144 Million, including about 15% Muslims, almost all Sunni. The upcoming Russian Presidential elections are on March 18, 2018, nine months away. Of course, Putin will win. But, Putin has run out of time to showcase a “Syrian win.” He has an economy in free-fall with no safety net, and a population that sees his Syria adventure as a disaster with no exit in sight. And that’s just the tip of Putin’s troubles in Syria. Putin now sees President Trump with the entire Sunni world behind him fighting his partner, the greatest state sponsor of terror in the world. Trump’s strategic goal in Syria should be – and surely is – preventing Shiite Iran from carrying out its master plan. 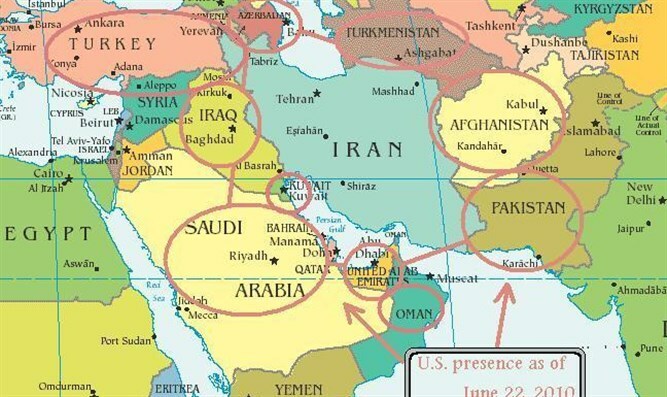 Iran wants control in Iraq and Syria so as to clear the way for a trans-Iraq-trans-Syria path from Iran to the Mediterranean Sea. Unfortunately for Putin, time is on Trump’s side. As the days go by, Iran will get more leverage in their partnership and Russia will get less. It cannot afford to stay in Syria forever, so, in reality, Putin has already been rendered a strategic nullity in Syria in that he has no real leverage. Putin has been reduced to relaying Iran’s territorial demands in Syria to Trump. Putin’s only means of gaining tactical Syrian leverage are to either threaten cataclysmic military action against the US and American backed forces in Syria or to back Iran’s Syrian demands. Both of these tactical choices will cause Putin’s strategic goal of repairing Russia’s relationship with the United States to fail dismally. Russian Foreign Minister Lavrov’s advice leading Russia to get involved in Syria from 2014 to 2017, makes Molotov seem like a genius. Molotov, it will be recalled, signed the fatal 1939 Nazi-Soviet Pact that allowed Hitler the freedom to carry out his plans for Europe, only to be double-crossed by the Nazis two years later. Mark Langfan is Chairman of Americans for a Safe Israel (AFSI) and specializes in security issues, has created an original educational 3d Topographic Map System of Israel to facilitate clear understanding of the dangers facing Israel and its water supply. It has been studied by US lawmakers and can be seen at www.marklangfan.com.